Anyone interested in Sardinian cuisine and its traditions would have noticed how, in recent years, the Filindeu has captured the interest of the media, especially abroad. 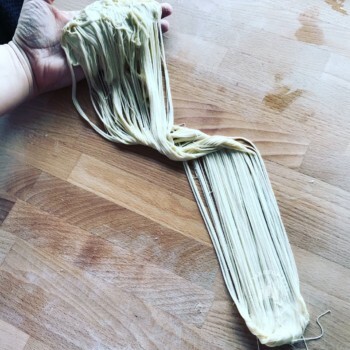 This extraordinary Sardinian pasta virtually crosses the borders of the Island to become popular to the rest of the world: from short clips to full documentaries we see the interest of a larger audience increasing with astonished surprise when looking at the very few women who mastered the technique of pulling thin-like-hair strands of dough, creating delicate shapes like silk fabrics. The famous chef and TV presenter Jamie Oliver has even made a sort of “pilgrimage to the lands of the Filindeu”, appearing then in a funny video where he tries – without any success – to reproduce it. Filindeu requires extraordinary talent and ability. Filindeu is made by durum wheat, water and salt; unlike other Sardinian pastas as lorighittas, fregula, andarinos – just to mention some other complicate formats – it requires extraordinary agility and artisanship, a deep experience in making handmade pasta and a particular sensitivity in handling it. It is not for everyone, honestly; many people believe that mastering Filindeu art is a kind of gift and inheritance passed on from mothers to daughters, in an almost magical way, preventing this secret to be disclosed to anyone outside this sacred yet private family bond. I can’t deny that there is something of hypnotic in the movement of the hands of those women pulling strands of pasta, but the real magic is hidden in the head and the heart of those who knead: it is a magical interaction of passion and emotion. 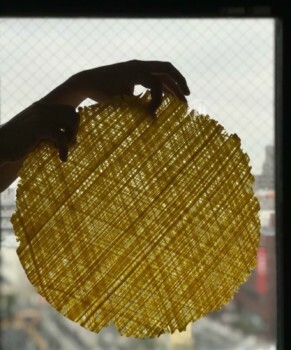 And it is magical the excitement I perceive watching and listening to Claudia Casu, who has been researching traditional pasta from Sardinia since several years faraway, on another island at the other end of the world: Honshu, Japan. Claudia Casu lives in Tokyo since 2009 where, after working as art director and cooperating with famous restaurants and local media, she opened a cooking school, Sardinia Cooking Studio. Claudia’s passion has always been to present the traditional Sardinian pasta in the simplicity of its ingredients: durum wheat semolina, water, salt. Traveling around her homeland Sardinia, she learned through the years how to close the culurgionis ogliastrini, how to prepare the lorighittas of Morgongiori and how to shape the andarinos of Usini. Few months ago she suddenly began to manipulate strands of dough and, kneading and weaving, one day she found out in her hands the Filindeu. 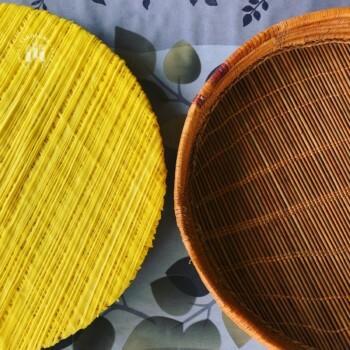 To better understand a story of passion and semolina I interviewed Claudia Casu, trying to make the threads of a legend converge with her incredible experience. Claudia, what led you to make this pasta? Did you have any teachers? Claudia Casu: it was a cold and snowy morning and I was kneading my dough in view of the spring courses of my cooking school, Sardinia Cooking Studio. At one point I found myself manipulating something new, an extremely elastic dough and, at the same time, easily malleable. Than I suddenly remembered that film shot by Pasta Grannies where a beautiful lady modeled gracefully strands of semolina, creating layers that overlapped on an ancient circular support. So I understood that it was the base of the Filindeu what I had in my hands, a delicious pasta I had tasted many years ago and I never thought I could replicate. At that point I felt like a kind of fever: in about two weeks, in exactly nine days and documenting every step on my Instagram profile, after having dreamed intricate threads that were literally untangling in my hands, I could make my first Filindeu. At the same time I tried to research as much as possible where this strange pasta came from and, above all, what it wanted from me. I understand Filindeu for you is not just a simple “pasta” but a passion that lead you not only to hardly practice on regular basis but also to undertake a path of intellectual research and study. What was the first step of your work? Did you do some research? 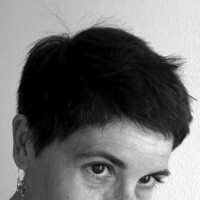 Claudia Casu: I started from what had already been established about Filindeu, for example in the interesting articles by the writer Claudia Zedda and the anthropologist and ethnographer Alessandra Guigoni: with wisdom and courtesy, she showed me where to find the sources she mentioned in her short treatise. Once those first hints had been set as my starting point, I could immerse myself in a deeper journey and research thanks also to the Library of the Italian Institute of Culture of Tokyo were I could find some valid texts both in Italian and Japanese. 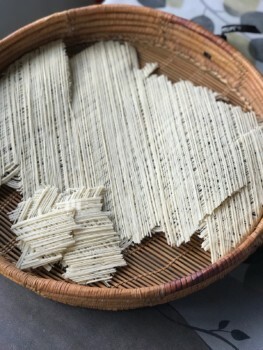 I discovered that the same technique, according to the official documents examined, was already present in China applied to wheat flour around five hundred years ago, used to hand-pull the delicate la-mian capellini. 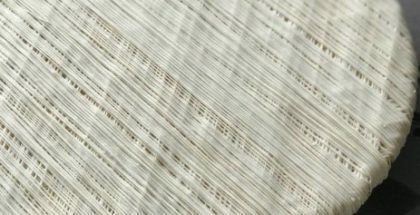 I surprisingly found myself immersed in a wonderful journey in the past, searching of thin threads that could bound my homeland, Sardinia, with the Orient; I also discovered the amazing history of Sardinian silk that, for centuries, has been worked with great skills in our Island. Introduced from China by the Jesuits in the seventeenth century, the silk is still worked in Orgosolo (Nuoro) and used to make the beautiful headscarf of the traditional dress, su lionzu. I immediately connected the two processes and concentrated the researches in that historical period, discovering wonderful evidences of trade between Sardinia and “the Indies”, the definition used at that time to describe the vast area between India and Southeast Asia, including the Philippines, China and Japan. According to the documents, exactly when East and West began to communicate, Sardinia occupied an excellent and strategic position in the processing of pasta; the informations arrived from the other side of the world must have been very important and inspiring, and not only in this area. Do you think your historical researches and your conclusions can be accepted by what we can call “the academy” of the gastronomes and scholars of Sardinian traditions? Have you already had any feedback? Claudia Casu: there were already some reactions, definitely positive and encouraging. All this convinced me to collect further material which will be presented in a technical article for an important magazine of food culture. After studying and working hard you also decided to cross the borders of the Filindeu tradition to commit its history to new culinary experiences: what was formerly known to be prepared only in sheep broth is then given new impulse and creative dimension. Tell us about this evolution and its realisation. 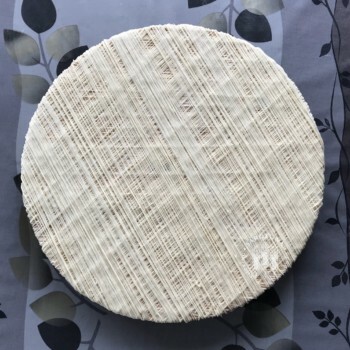 Claudia Casu: initially I concentrated all my efforts on the realization of the product in its authenticity, using only Sardinian semolina and salt from Sardinia, to obtain a good result. Then I checked how this pasta was prepared outside of tradition, discovering the beautiful variation of the black Filindeu, realized with squid ink, which has been a great success worldwide. So I decided to try to prepare the Filindeu in an unknown and rare version, adding Zafferano di Sardegna Dop (saffron from Sardinia) to give a golden color to the mixture, creating layers of pasta that I decided to call Filindeu ‘e Oro. 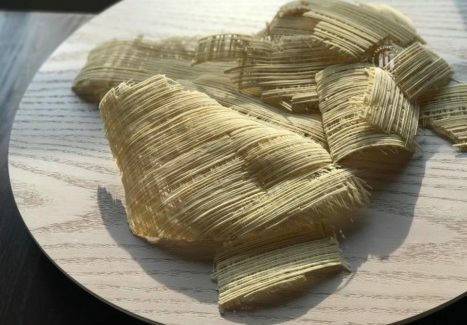 In addition, I was thrilled with some research that would enhance the fascinating texture of this pasta, using it, for example, as a “lasagna” and no longer as a simple broth. 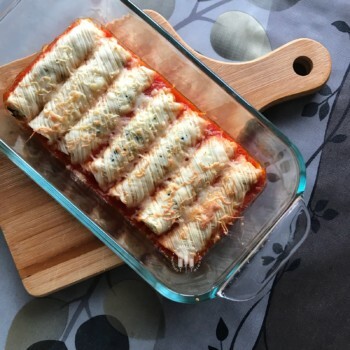 So I started to create simple recipes as lasagne and timballi; then I threw myself into an extreme work, using fresh layers of Filindeu to create cannelloni, a real challenge that I particularly enjoyed. What are your plans? Will you come to Sardinia in person to let us taste your Filindeu? Claudia Casu: my research on Filindeu has just begun and I can not wait to go back to Barbagia in the places where this pasta was born and where there are women who, with great skills, work in silence and away from the media to preserve this important tradition. My goal is to thoroughly study the technique and, at the same time, to document the history and the deep emotions related to this wonderful pasta unique in the world. The Filindeu also shows that shared knowledge is what makes human progress. What Claudia Casu told us in this interview is extraordinary: we are just amazed by her skills and and commitment to master this ancient and difficult technique and at the same time thrilled and eager to deepen our knowledge about this fascinating topic thanks to her studies and research. It is natural to think that globalisation is not a modern phenomenon as we believed until now and that, at bottom, shared knowledge is what makes human progress. We now wait to see the developments of the Filindeu ‘e Oro project: the precious Sardinian raw materials that come to life in the hands of a tenacious Sardinian woman like Claudia Casu.